I’ve known Kelly “virtually” for a couple of years through her blog and periscope posts. But I met Kelly personally at a conference in Dallas last summer. She’s the real deal–the same in person as she is online. Beautiful smile, filled with energy and a deep love for God. I was tickled when she invited me to be a part of her launch team. 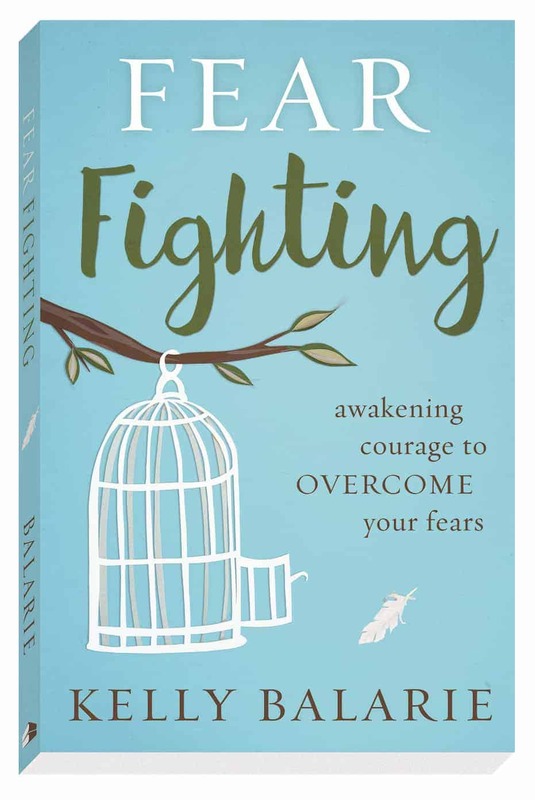 In her new book, FEAR FIGHTING, Kelly shares, with gut-level honesty, stories about herself and others and how they overcome fear. Notice I didn’t say overcame. 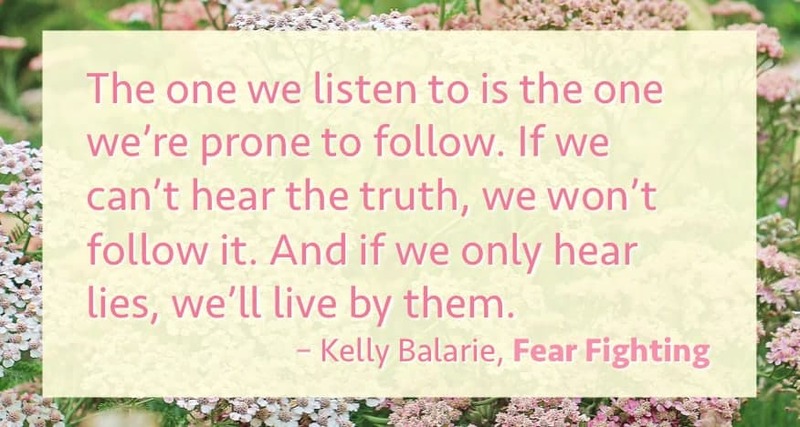 Kelly doesn’t claim to have fear licked, but she has learned a ton and and freely offers her insight in her book. All of us experience fear. It’s part of our fallen, human condition. As Kelly explains, at least eight things induce fear. Kelly covers each of these in separate chapters–each filled with bite-sized nuggets of truth to carry you from one moment to the next. At the end of each chapter, she includes meaty chunks for you to meditate on as you transition from fear dweller to Fear Fighter. The solution? 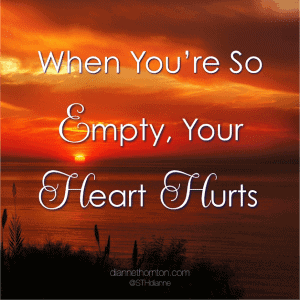 Turning toward the heart of God …where lies can’t stand in the face of His love. At the end of this chapter, Kelly leaves her readers with a list of Ten Things the Devil Wants You to Believe (pg. 75) and juxtaposes those lies with truth from God’s Word. Kelly’s chapter on Rejection is also treasure. 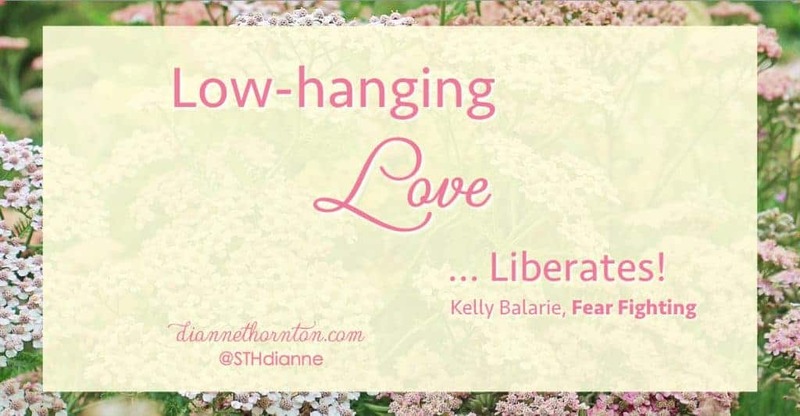 She talks about “low-hanging love” … contrasting how we sometimes go to extreme measures to gain the love of others and how God’s love is hanging (like a branch laden with fruit) right in front of us. All we have to do is reach out and grab it. 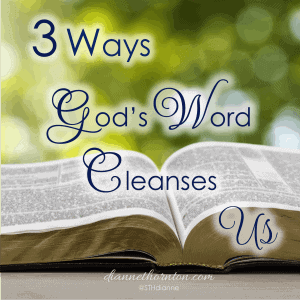 She shares a list of Scriptures that tell how deeply God loves us. Sweet review of a fantastic book! I also enjoyed it very much, Dianna, and appreciated Kelly’s honest, humble approach! Kelly did a great job of pointing us to God’s deep love for us!! Thanks Bethany! I am also on the launch team, and I thought the book was great. Which conference do you attend in the Dallas area? I’m curious. Kelly wrote such a great book, with a powerful message. Thanks for sharing. Wow, I’ve been hearing such great things about Kelly’s book. I was even surprised to catch her on radio talking about the book (yes, all the way over here!). I think this is one I need to add to my 2017 reading list, although I have to admit that list is already quite long with many unfinished books from last year. Either way, I know that at just the right time, when the need arises, I’ll know where to turn in my fear fighting journey. Blessings to you and your family for the New Year, Dianne! Kelly’s launch plan has had incredible reach! 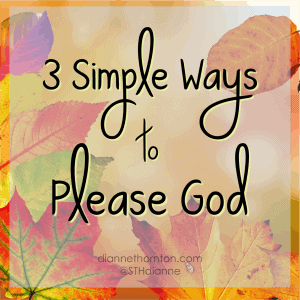 Praying many, including you, glean truths that will make a difference in your life this year! Visiting you from Testimony Tuesday. Thanks for sharing this informative review of Kelly’s book. 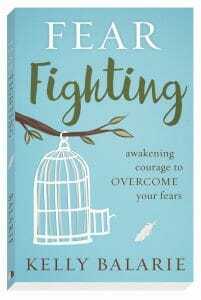 We all have to deal with many fears, it is so helpful to learn strategies to help with our fears. Sweet Blessings to you. Blessings to you, as well, Cheryl. Thanks for dropping by! 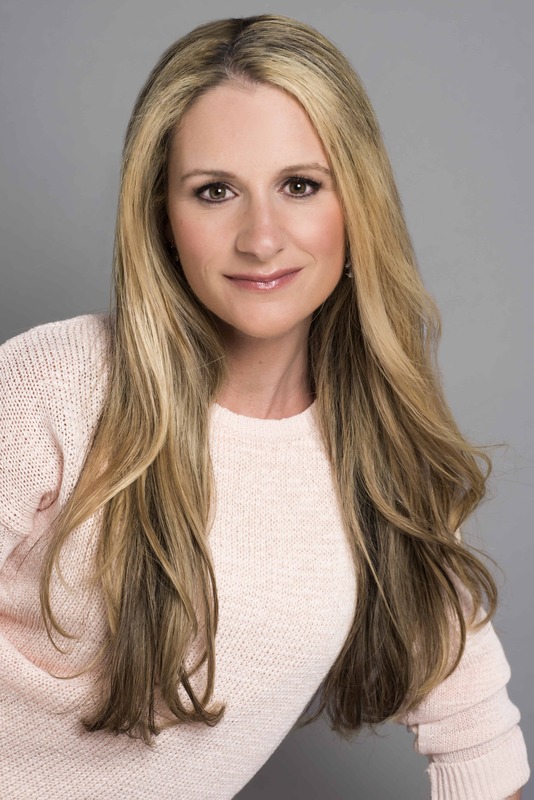 Enjoyed your book review Dianne:) This post explained well what Kelly’s new book is about and encourages the reader to delve further for more valued information. Your endorsement of meeting Kelly in person makes it all the more compelling. Blessings to you today! 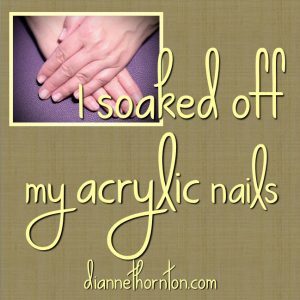 Thank you for your kind words, Gretchen!